Parking Professionals and Waitrose have teamed up to provide excellent season ticket parking in the heart of Fulham at the Waitrose Car Park on North End Road (SW6 1LX). A select small number of spaces have been made available for the first time on a long term basis – offering parking from 4 weeks to 26 weeks up to 52 weeks. There are discounts available for pre-payment of 26 and 52 weeks – call to find out more. Parking Professionals have been working with Waitrose at their Bayswater superstore since 2010, managing their on-site car park. We have been providing their customers at this location with excellent parking by the hour, week, 4 weeks, 26 weeks and 52 weeks. 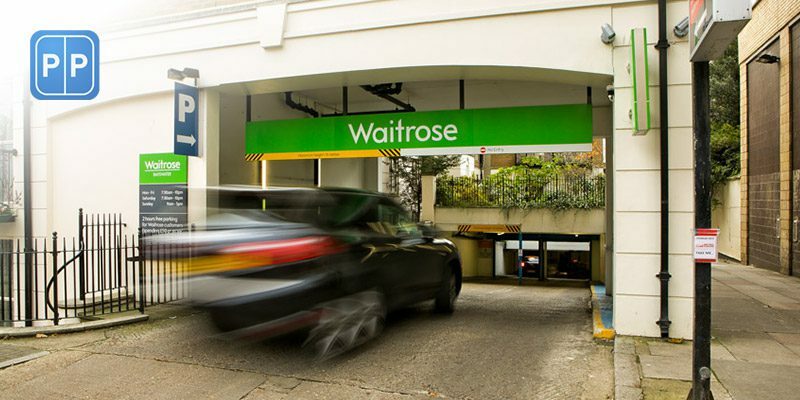 Waitrose approached us to help them with their other central London parking assets and so we are now able to offer secure parking at their Fulham store at great rates. Others are hopefully to follow. The car park is located at their North End Road store but the entrance to the car park is on Heckfield Place (just around the corner – off Fulham Road). Centrally located for all the shops, offices, restaurants and bars in the area, and of course for the excellent transport links offered by Fulham Broadway. Local Residents – looking for somewhere safe to keep their car – secure off-street parking at an affordable price. Call us for FREE – we are here to help you with your parking needs. The Parking Professionals Team have been running high-end car parks in Central London since 1995 and believe we have the experience to ensure your parking experience is as good as possible.